This stunning Semi circular Louis XV design Antique French Table is a welcomed addition to our award winning furniture. 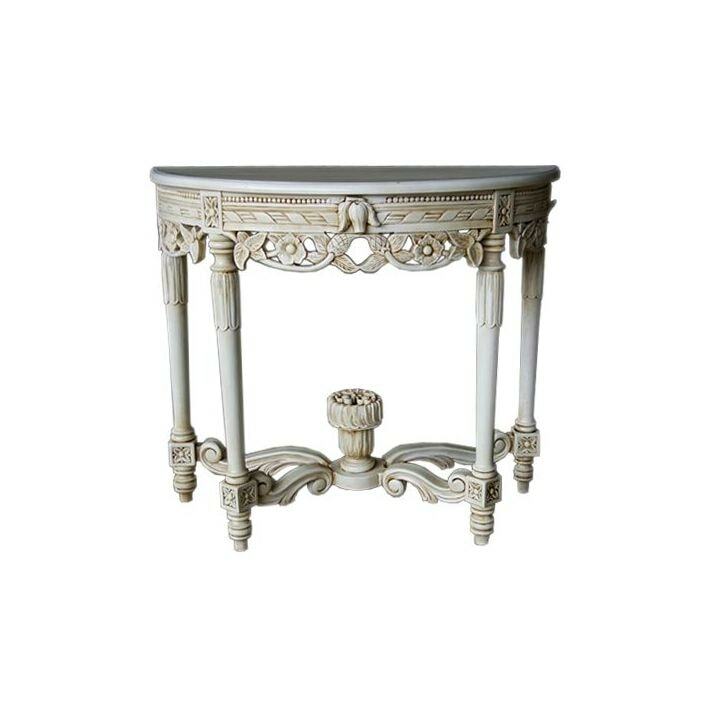 Featuring elegant turned legs, with highly intricate carved frieze and stretchers. The mahogany frame is then finished with a mellow antique white. Working exceptional either on its own or complimented alongside our other pieces, this console table is sure to amaze.